How on earth can we find ways or even time for spiritual parenting philosophies in our children’s upbringing? Days are so rushed and packed full of everyone’s own specific agenda. We are often too busy achieving personal goals, so family matters becomes secondary. We don’t allow our families to discover their passions and strengths. There is simply no time left for empowerment and introspection. If this is the case for you, then consider this for a moment. If self expression had nothing to do with achievement, but rather came from a different place; one of joyous articulation, of trust and harmony; how would that affect your own family life? The truth is spiritual parenting has nothing to do with achievement, and everything to do with success. Achievement does not necessarily mean success. Achievement is an action and doesn’t become success unless that achievement/action is attached to personal value. It may sound all soft and floaty but effective spiritual parenting is not just about moments of blazé mantras. It requires a complete overhaul of the communication within your family. It also requires looking very honestly at your own self perception. On a day to day basis we reflect our attitudes to our children. They see the world through our eyes. The lessons they learn are taught not just through our words but also our every day actions. Here are some ideas about easy ways to implement spiritual parenting into your family unit. Your own moods have an equivocal effect on the day to day weather in your home. The bright days come from your smiling, and dark clouds may often form when you are stressed. Often our reactions to our children are wholly dependent on how we are experiencing other agenda, that the children have no control over. For example, did you shout at someone because you are worried about an unexpected bill for instance? Are marital rows making you more irritable or upset? Is it hard to hear your child because you feel pressured to achieve a work deadline? We have all heard the saying “two ears – one mouth” but this mnemonic will take your communication to a whole new level. Spiritual parenting is about allowing your child to have a voice in your home, encouraging them to learn how to be independent thinkers. Here are tips to help you be a better listener. Look – Maintain eye contact with your child and watch their body language for clues about how the conversation is going. Sometimes mirroring your child’s stance can be a very effective approach, leading them to feel that you are on their wavelength. For example, try to stand or sit in the same way as your child. more effective than “Are you sad?”. Say it again – Para-phase your child’s complaint to ensure you have understood the problem clearly. This is a great way to show that you have listened to what they have to say. Take a moment – Think before you answer! Empathize – Empathy goes beyond sympathy, where you simply feel pity or sorrow for someone else’s misfortune. Try to empathize by imagining how it feels to be your upset child at that moment. Non judgmental – Nodding and smiling gives your child encouragement to communicate without fear or repercussion. Take a deep breath, step back from the situation and use LISTEN and you may find tantrums and “acting out” disappear as your child discovers a whole new avenue of expression. 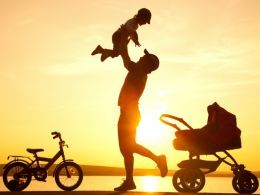 Your actions need to match your personal values in order to make your family life successful, and that’s what spiritual parenting is all about. Actions speak louder than words. The lessons for your children have to be shown rather than told. Small adjustments may need to be made to make this gentle happiness possible. Spiritual parenting comes from the head just as much as the heart, and like all good things the results will be worth the effort. Finally, consider the following lovely Tibetan spiritual lessons that they teach their own children. Early on, parents teach their children about the great power of generosity and love with this metaphor: A single candle, has the ability to generously give light to another thousand candles with no cost to itself. No matter how much it gives, it does not burn down any quicker. Also, even the tiniest are taught harmony over justice, rather than right or wrong. Abraham-Hicks – You Must Love Yourself First! How to Attract Good Friends – Become a Magnet for Friends! Are you stuck in destructive relationship patterns?